Smooch. Smoochie. Smooches. I took this Valentine party up to a personal level. Because if you don't send your love grossly affectionate words of endearment, do you even have a Valentine? 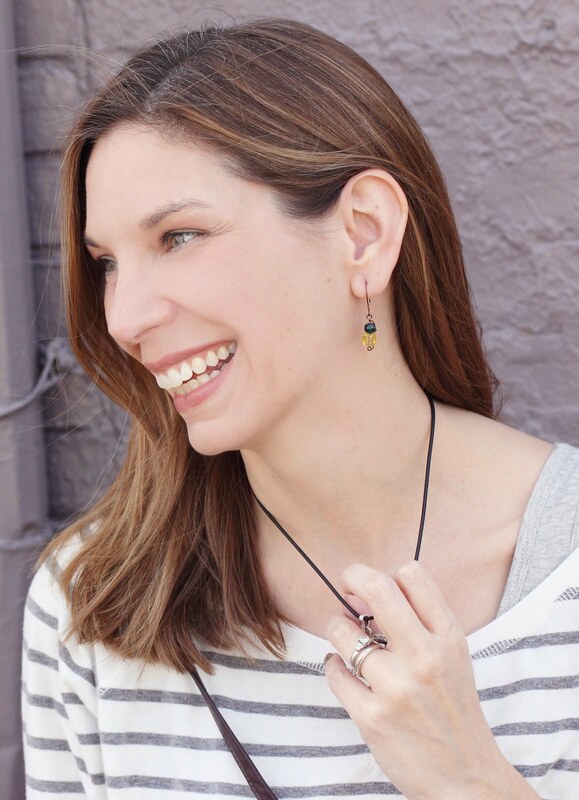 This party was planned with my dear crafty friend, Craft E Magee, and it is the starter project of a big idea we have to continue to put together parties that we love. We're just getting started on some serious baby baby steps, but you can find more of our parties in the future over on Party in Lou. We'd love to have you stop by and follow our instagram, too. You know, if parties are your kind of thing. 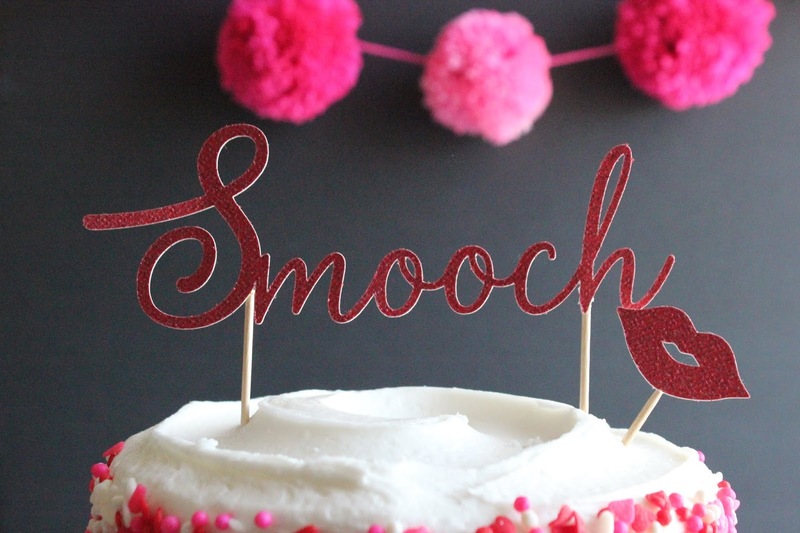 Craft E Magee worked her magic on the seriously adorable pompom banner and I designed the Smooch cake topper and lip kisses in Silhouette. The cake was from Kroger and I can't get over its cuteness with the Valentine sprinkles and tri-colored cake layers. 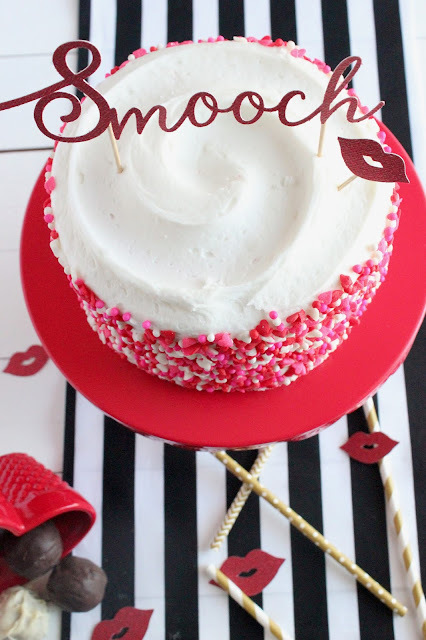 It's simple to add your own flair to cakes with personalized cake toppers and decor. 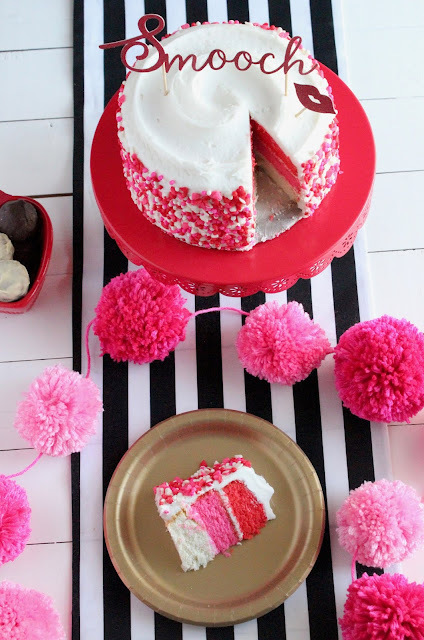 Parties should be fun and not stressful, so take a look around your grocers' bakery to see what they're offering and don't be afraid to cut corners with store-bought cakes and pastries. 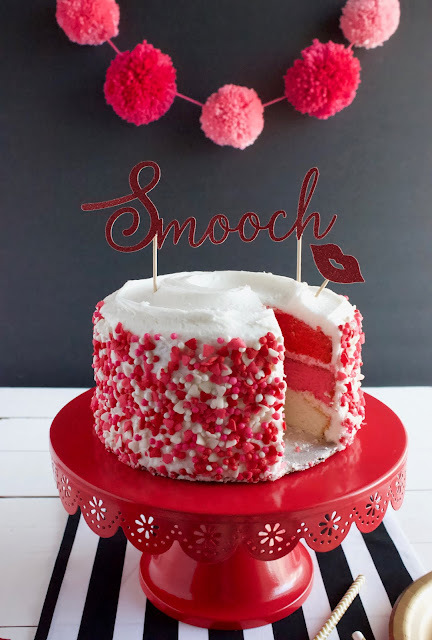 Here's to lots of love and smooches this Valentine's Day!